Lazard Financial Advisory sponsors SEO London's Flagship Female Leadership programme – HerCapital. SEO London is pleased to announce that Lazard will be an official sponsor of HerCapital – a year-long leadership development programme for female undergraduate students, aimed at transforming gender diversity in the financial services industry. 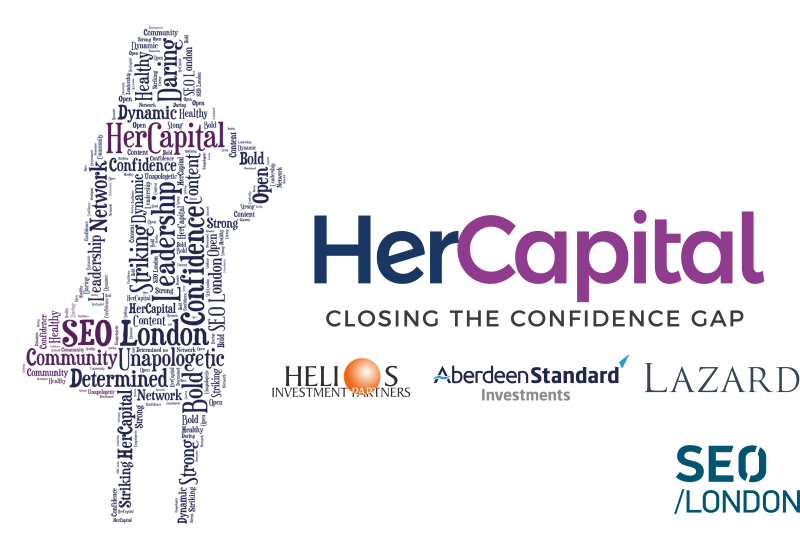 Lazard joins Helios Investment Partners and Standard Life Aberdeen as “HerCapital Providers”. HerCapital is a holistic and practical programme designed with the millennial female in mind. The objective of the programme is to close the confidence gap that exists between men and women while cultivating Associates’ core leadership potential. Along with other HerCapital Providers, Lazard will get the opportunity to engage with the 50 HerCapital Associates on the programme by running technical training workshops during the summer of 2018. The Associates will get the opportunity to understand both the sell-side and buy-side of the financial services industry. The programme seeks to broaden the pool of female talent considering the financial services industry as a career option. It follows the launch of the Women in Finance Charter, an initiative by HM Treasury that seeks to increase the representation of women in the financial services sector, particularly at senior levels. The initiative has been launched as a solution to the weak pipeline of female talent at entry level, making initiatives such as HerCapital critically important. “Lazard London is proud to be a founding sponsor of SEO’s HerCapital programme. Experience tells us that having a rewarding career in Financial Advisory is not just about learning technical skills. It’s about building relationships with clients and colleagues, thinking innovatively and strategically, and above all knowing that your skills and abilities have a place and a purpose in our industry. Applications are now open and students are encouraged to apply as soon as possible as applications will be reviewed on a rolling basis. Application deadline: 24th October 2017. The launch event for HerCapital Assoicates will take place on Monday 27th November 2017. If you are a corporate organisation that would like to get involved in supporting the programme, please do get in touch (Tracey.Abayeta@seo-london.org) as there are many ways to get involved! If you are a candidate, sponsor firm employee, alumni or supporter and you would like to blog for us, please contact us at info@seo-london.org expressing your interest.